Those Eidos and Square Enix bastards have been drip feeding us constant nibbles of Deus Ex 3 goodness in the form of screenshots, videos, and fictional web sites ever since it was announced, but now the drips are getting bigger, tastier, and even a little crunchier (the good kind of crunch, where you realize that chocolate you bought has biscuit in it). I couldn’t be looking forward to Deus Ex 3 more than I am, and seeing this video makes me wish I could fall into a sleep-induced coma for the next 44 days (though this would involve missing my birthday – a worthy sacrifice), wake up on release day, and get stuck in. We can’t bloody wait for Deus Ex: Human Revolution, the long awaited prequel to the original Deus Ex that was on PC way back in 2000, which means that for the next five months until it’s finally released, there’s going to be a lot of time to be filled doing/playing other things. With that in mind, and considering how much I bloody love the Deus Ex universe, I decided to go back in time and play the original game all over again, whilst keeping a diary-ish record of my journey back to the past. 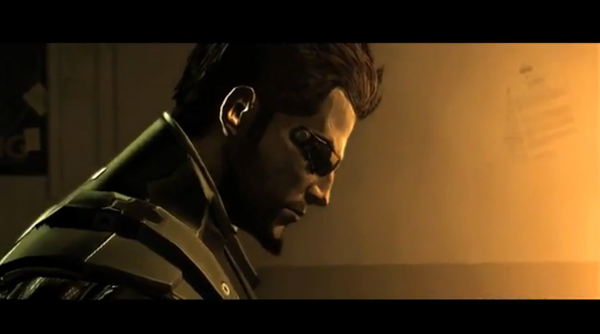 RockPaperShotgun have a whole load of new information about Deus Ex 3. I’m more excited about this game than any other this year, and if you ever played the original Deus Ex, I’m sure you’re equally as keen to get your hands on it. It sure does look as though they’re doing everything they can to produce a faithful prequel to the original, and put the misstep that was Invisible War in the past. Trailer below. This trailer is already over a month old, so it’s only just still news (to people like me who somehow missed it, at least!) but if you’ve never heard of Deus Ex, you owe it to yourself to watch this gameplay trailer and be amazed at how bloody cool it looks.